I don't feel very comfortable with the idea of the public school system. I don't know how to come to the right solution for kindergarten. 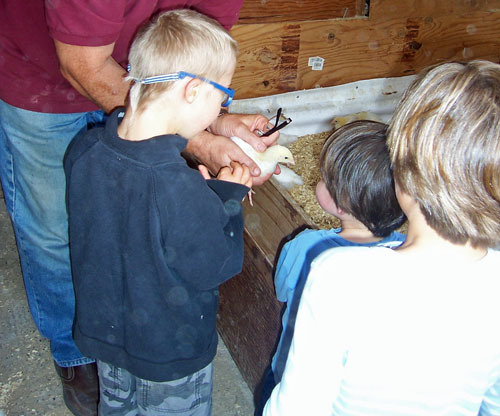 We've considered homeschooling, and other options. I am not sure what the right choice is. I agree that not all Montessori schools (teachers) are prepared to handle a special needs child. It is not the fault of the teacher(s). Unless the Montessori teacher has a background or some family experience with special needs, then chances are the special child will be too much of a challenge. I also learned that not all children do well in a Montessori environment, some children really do better in a traditional, play-based preschool with group activities and the like. It could be that your special child would do better in a traditional classroom, even a public school Kindergarten (if your child is doing well in his special ed class, chances are he'll do well in a regular Kindergarten class). You need to go and observe your local public school and get a feel for it, as part of your decision making process. And go and visit the special ed classrooms, too, for older kids. I was really surprised at how much I liked our local public school and the Kindergarten classrooms! Me! The Montessori teacher! But I saw that it was a much better fit for my child, for what he needed, for what he liked: he needs and likes structure, group activities, and tables set up with various activities, etc. I did observe a special ed classroom and felt it was too restrictive... and I observed a local Montessori 6-9 charter school and felt it was too "loose" for my son (he needs that structure!). And did my heart get broken! Oh yes! Not only did I get a child with special needs, but a child who did not fit the Montessori mold! Even at home I see how he just doesn't fit into a Montessori environment! He is who he is! So went through the emotions, sadness, depression, anger, rage... and then I moved on. I'm happy to say my son loves his school and his friends and his teacher and his aide! He was fine, it was me that had to get over it! I have a neighbor who worked in a Montessori toddler class for over ten years. She had a son who is almost two. She was sure she would send him to Montessori! But after she observed all the local schools, she loved one school (a church-based school) and knew it was the right match for her son (a rough and tumble kind of kid as she put it). So, again, she based her decision on her observations and did what was best for her child. She may choose Montessori in the future, but for now she is happy with her non-Montessori school. As for homeschooling, that should be your plan B. I tell all parents that! Try your local school, first. It is better to pull your child out in the middle of the year (to homeschool) if things are going badly, than it is to start your child in the middle of the year if homeschool is going badly! So... plan A is local public school, plan B is homeschool. You can always try some homeschooling over the summer! As for Montessori, guess who is helping her son learn to read and write using Montessori materials? (And math, too!). My son needs extra help, as is to be expected, so I am able to now use many of the Montessori materials at home to help my son! So allow yourself to have all the emotions that you have, just don't base your decisions on them! Use your observations and follow your child down his own individual paths! Want more of my Montessori and special needs blog posts? 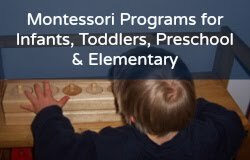 Want Montessori elementary? Check out my affordable online Montessori homeschool programs here and my recommendations for Montessori and homeschool books here!